BBQ & Playgroundfire up the BBQ and prepare an awesome Kiwi summer meal. Top 50 Must DoThere is plenty to do in Taranaki. Check out the top 50 must do experiences. 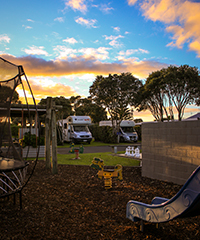 Our holiday park accommodation options cater for family holidays, school and sports groups, or traveling to Taranaki to visit family and friends or to see region 'like no other'. 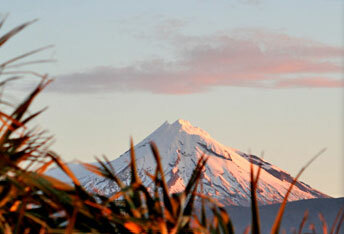 Our Taranaki camping ground options include picturesque private tree lined sites with the view of Mt Taranaki. Taranaki holiday park facilities include a heated swimming pool, private hot spa and a sauna, all on site. We also have a great BBQ area, Lounge room and a playground for the kids. As part of the TOP 10 group of New Zealand Holiday Parks, you are assured of a happy stay, quality facilities and excellent warm service for your TOP experience...always. New Plymouth TOP 10 Holiday Parks location is fantastic, with Mount Taranaki just a 25 minute drive away and a beautiful beach just 5 minutes walking distance from our holiday park, you can be skiing or snowboarding in the morning, then swimming, surfing or fishing that same afternoon! New Plymouth is a city with it all – great shopping, wining and dining, numerous places to discover our art and culture, beautiful parks and gardens and so much more. Check out some great New Plymouth Events. 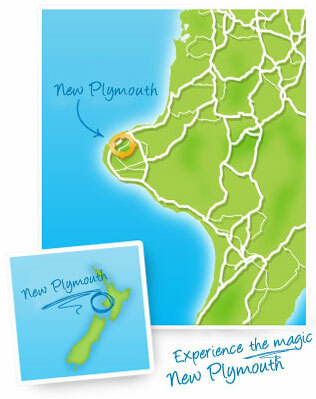 Take a look around our site and get ready for a truly relaxing holiday at New Plymouth TOP 10 Holiday Park!